I did the ever-so unique dip dye on my hair in September. I know everyone has it these days but I still love it (the good ones that is). Anyhoo, with getting your hair dip dyed comes a lot of dry ends that need a lot of TLC. I got my hair done at Mario’s in Green Point and (for those who don’t know him) he really is the best. It does come at a bit of a price but dying your hair is not something I advise being budget on – like these Groupon deals for dyed hair make me squirm inside! 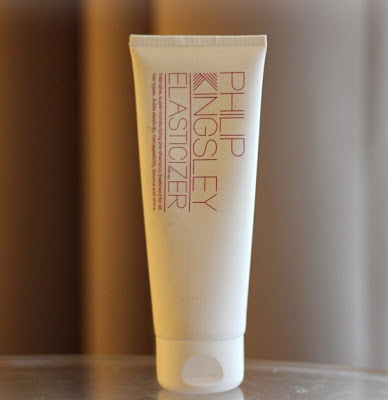 On my recent trip to London I stayed with one of my best friends who had been harping on about Philip Kingsley's Elasticizing Pre Shampoo Treatment for ages – so much so that she even messaged me before I arrived saying she wants to try it out on my hair as she knows I will fall in love. Anyway, with all the wine drinking and catching up we ended up forgetting about the beloved hair mask, but luckily I got a tube when I got home and have been trialling it for the past few weeks. This is one of the cult products from this hair care range and I can totally see why. It transforms limp, lifeless hair into naturally healthy I’ve-never-dyed-my-hair-before kind of hair. I found with other hair masks that my hair would feel full of hydration and look great for a day or two and then fall back to its same ways, but this really changed the texture of my hair and, through its top class ingredients, really solved a problem rather than superficially coating the hair cuticle for a few days. Application is a bit tedious like all other masks and should be done pre-shampooing your hair. I applied the mask with a thick comb brush and worked the mask through thoroughly, I then let in sink in for 20-30 minutes (depending on how much house work I feel like doing while the mask soaks in). You then continue with your usual shampooing and conditioning routine and, viola, your hair will look and feel incredible. This product is available at selected Edgars stores and online from www.philipkingsley.co.za. RRP is R530 for 150ml.